Many may notice redevelopment budding in Glenwood. This didn’t happen overnight and it’s not happenstance. 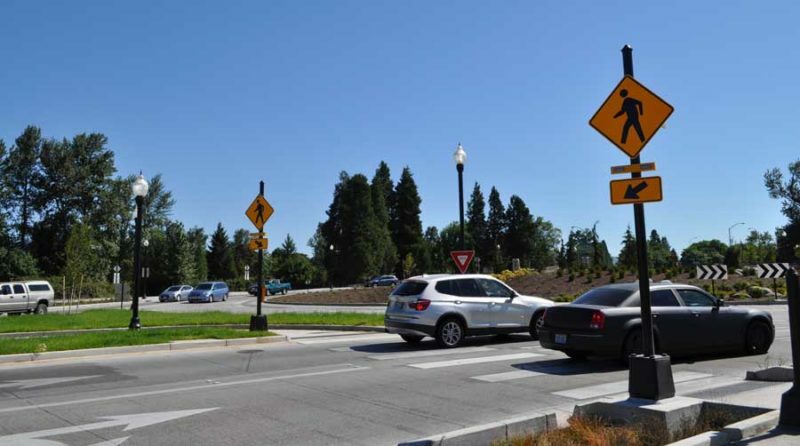 The Glenwood area of Springfield made headlines in 2018 as a major project was completed and a new land purchase marked a significant milestone in advancing the community’s vision for Glenwood. In May 2018, work on the New Franklin Boulevard Phase 1 project finished, several months ahead of schedule. The new boulevard improves safe transportation options such as bicycling, walking, driving, and using public transportation in the area. This project provides the necessary infrastructure to support continued redevelopment efforts the area. 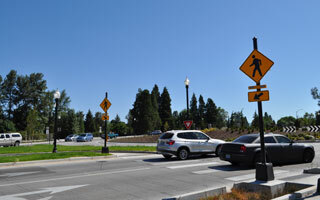 Phase 1 of the New Franklin Boulevard project was awarded the Oregon Chapter of the American Public Works Association (APWA) Project of the Year Award for a public improvement project. Even before the striping was done on the new Franklin Boulevard, another major milestone occurred when the Springfield Economic Development Agency authorized our City Manager to purchase a 7-acre, riverfront parcel in Glenwood. Future redevelopment efforts of this site will help bolster the area’s River District that connects Downtown Springfield to Downtown Eugene. This is the largest assemblage of land available for redevelopment in Glenwood and an important part to realizing the community’s vision as outlined in the Glenwood Refinement Plan. The $5.6 million purchase was made using Urban Renewal funds, which voters made possible in 2004 when the urban renewal district was formed. The Glenwood Refinement Plan established guidance on how land use, natural resources, public facilities, and economic development opportunities should be developed, designed, and enhanced over the 20-year plan period. The vision includes creating access to the river and open spaces while also developing opportunities for a mix of much needed housing, commercial, and hospitality space.